Book A Farm Machinery Service At Carruthers Machinery Co. When your farm machinery needs repair or maintenance, the team at Carruthers Machinery look forward to giving you a helping hand. Our service department offers servicing and repairs on all types of farm machinery, both on-site and here in our fully equipped service workshops. We can handle all kinds of jobs from air conditioning, implement and tractor repairs, problem diagnosis and scheduled servicing. If you are interested in our service, please contact our service department via the form below. We service all types of farm machinery. Experienced technicians ready to complete all manner of servicing and repairs. We can visit you on-site after hours if urgent. Please contact us for callout rates. Carruthers Machinery provide the highest quality servicing for your farm machinery at a competitive service rate. Contact the Dealership to get a free quote for your next service. 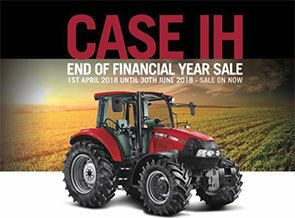 Carruthers Machinery recognise that your farm machinery is key to operations running smoothly. With that in mind we aim to have your machinery in and out of the workshop in a timely manner. Based on our values of honesty, trust and integrity we are committed to being the leading service provider in all aspects of our business. We pride ourselves on quality and care we put into our machinery servicing. Come in and visit the workshop.